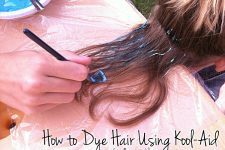 I know that Pinterest is flooded with tutorials for homemade crayons. But I thought to myself…what’s one more!?! Today we finally re-purposed the old broken crayons and put them to good use. Step 1: Peel the paper off of your broken crayons. Step 2: Break the crayons into small pieces. 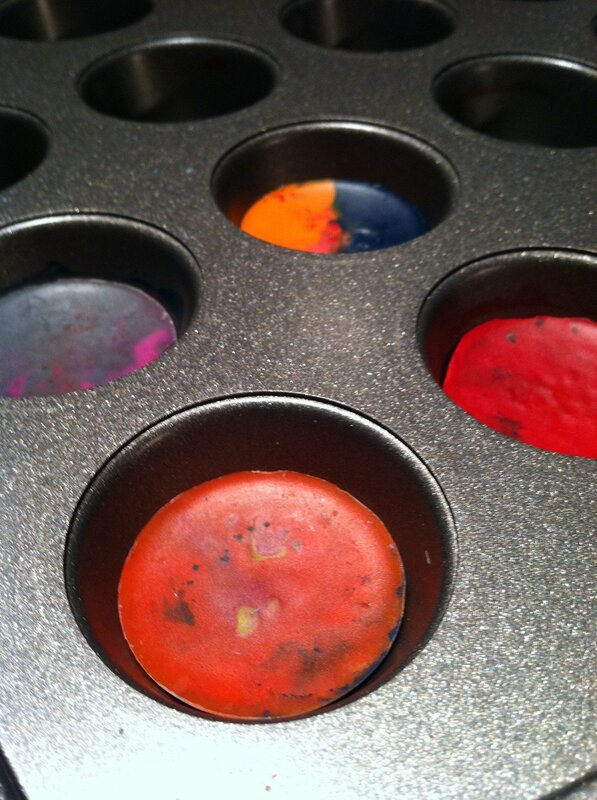 Step 3: Fill a non-stick small muffin tin full of your favorite colors. Step 4: In oven, pre-heated to 350 degrees Fahrenheit, place muffin tin filled with your broken crayons and allow to melt for approximately 8 minutes. Note: Oven temperatures and melt times may vary, be sure to monitor the melting process closely. Step 5: Once melted, remove from oven and allow to cool on the counter for approximately 15-20 minutes. 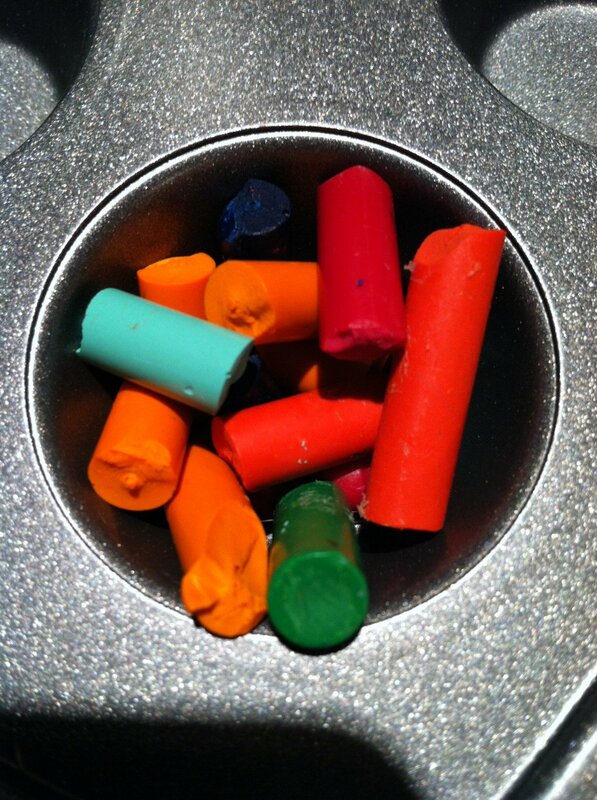 Step 6: Push gently on the edge of each crayon to release from the mold. 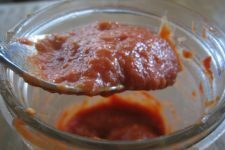 -These will make wonderful Halloween Treats! 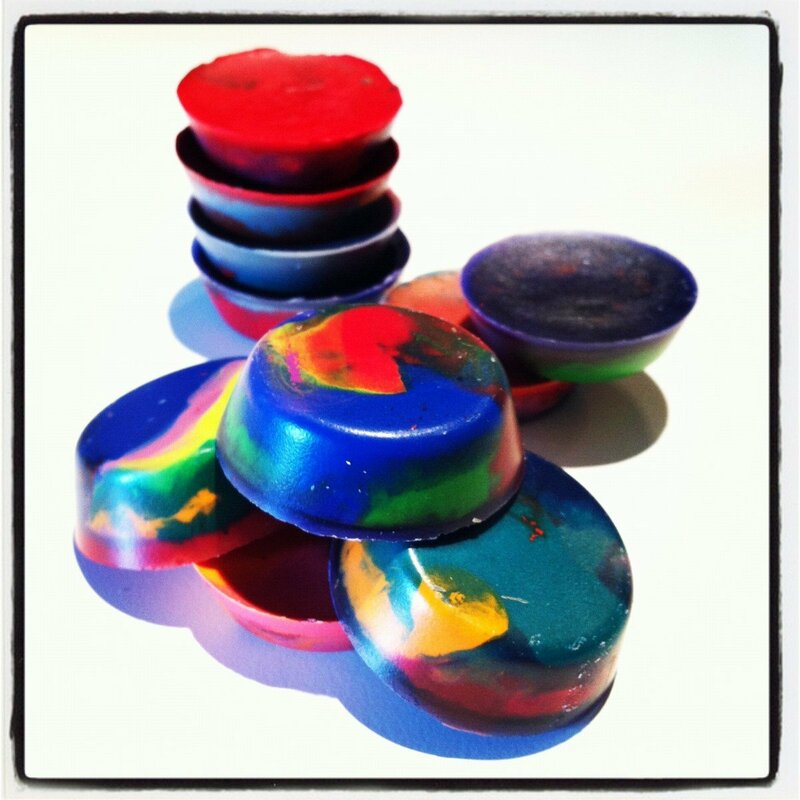 Have you made homemade crayons? How have you used/gifted them? 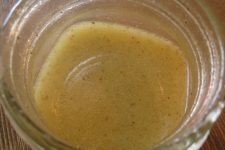 How about with dye plants we grow ourselves and beeswax? 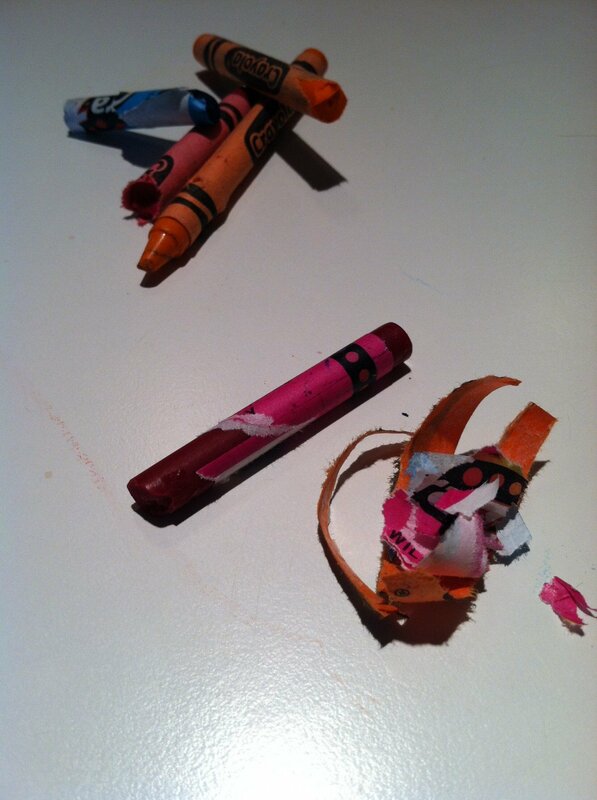 I love this idea for old crayon bits. No sense in just tossing them out. Thanks! 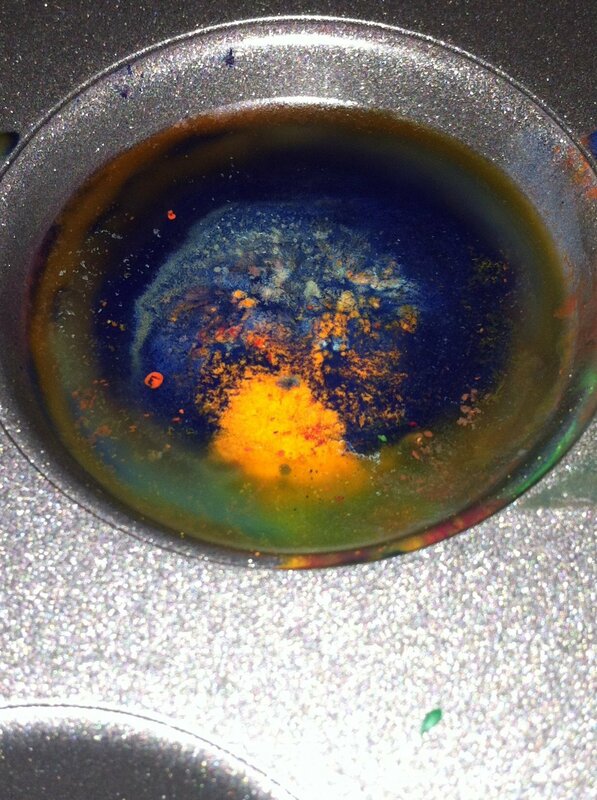 I use broken crayons as a non-toxic coloring in CP soap. It works really well! I’ve read somewhere online that if you soak the crayons in water the papers come right off. Haven’t tried it but worth a try. Those little plastic jello molds can go in the oven at low temperatures — 200 degrees. 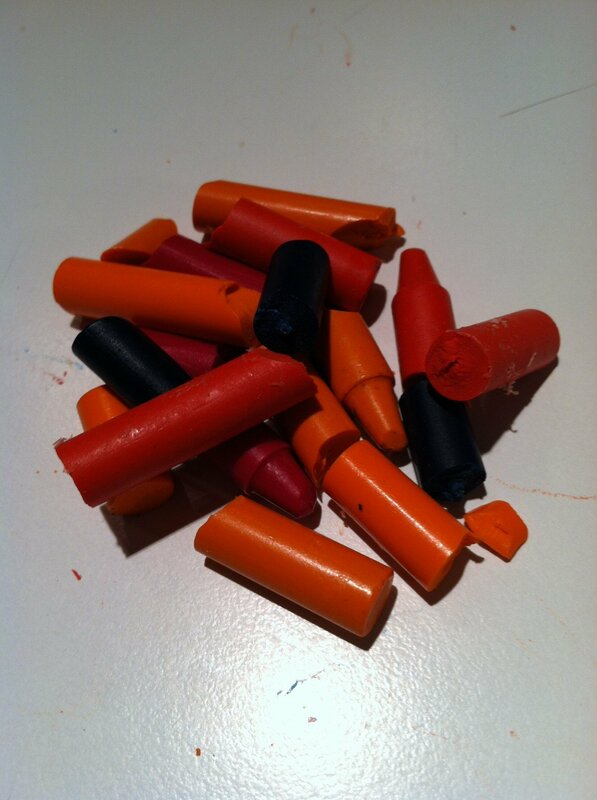 So I’ve used those to make crayons in the shape of little cars. Very popular among the boy set, even those who would normally think of coloring as sissy.